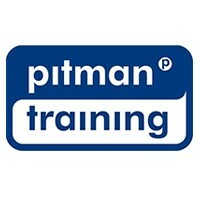 HTML 5 Fundamentals course from Pitman Training is designed to teach you all of the very latest syntax and principles behind the most common language used in the creation of web pages. You ll learn how to use HTML 5 tags and attributes, add images and colour, build links, tables, and frames and finally, understand how to use Cascading Style Sheets (CSS) within the creation of your web pages. Upon completion you will have the most up-to-date skills which will be highly in demand by employers as the use of digital continues to grow.